(Photo: Scenic Montara, with Devil’s Slide in the background). Montara was the first in a string of charming beach towns encountered by Ocean Shore Railroad passengers as they left behind the breathtaking vistas of the spectacular ride across Devilâs Slide, the vastness of the Pacific Ocean and the striking patterns of the fragile cliffs. From the quaint Montara train station, fields stretched in all directions, with footpaths leading to a graceful 19th century lighthouse, a church with a small spire and virgin beaches thick with white sand. The visual effect made some visitors imagine they stood on the stern of a ship far out in a foggy seaâbut the gracious dominance of Montara Mountain in the background, hosting sprays of brilliant wildflowers, reminded everyone they remained on land. Montara was the home of Vic Guerrero, heir to an original Spanish/Mexican land grant. In Guerreroâs less complicated Montara, the most famous resident was William Haavind, âBilly the Kid,â? a colorful foot racer known for his daily sprint up to Devilâs Slide and back. This, then, was Montara in the early part of the 20th century, the place Morris Wagner came to know and love. 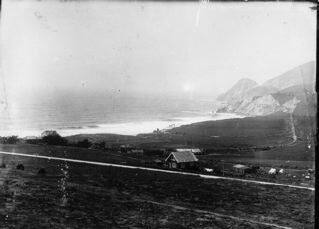 Anyone acquainted with Morris soon learned that her father, Harr, had purchased one square mile of beautiful Montara, believing the property would rise in value along with the fortunes of the Ocean Shore Railroad. He may have originally hoped to sell small lots to all comers but he quickly refined his plan, announcing that Montara would become the center of an artistsâ community with a college as its beating heart. The arts and crafts community made sense to all who knew Harr and Madge. They had countless artist friends including the famous, long-haired bohemian poet, Joaquin Miller. To assist Harr in promoting Montara, Miller rode the Ocean Shore Railroad to the Coastside town where he planted a special redwood tree to the delight of spectatorsâincluding the press. 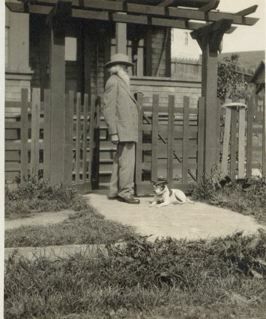 While Morrisâs mother penned books of poetry, her father named the streets of Montara in honor of the authors Bret Harte, Elbert Hubbard and Rudyard Kipling. A few tidy cottages were built and artists moved in with their musical instruments, pens and watercolors. A bakery was opened and many began to view the community of Montara as economically self-sustaining.